These tops are designed for general sizing and cutting of natural woods. A higher number of teeth provides a finer edge to the cut, but should only be used on thinner material. 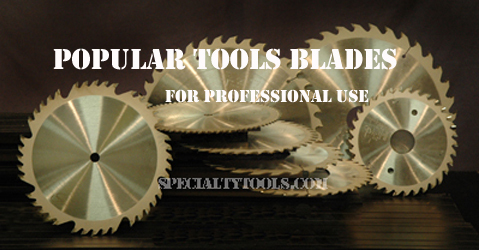 The saw blades are designated by the prefix GAM contain Micro-Sheen C-4 sub-micron carbide which provides longer tool life. ATB Alternate Top Bevel. This is the most popular, saw design, and with good reason. It is excellent for cutting operations with or against the grain, acheiving a high level of quality over a high range of cuts. Top beveled sever the material with a shearing action. Teeth alternate left and right top bevel.